Feet in 2 Worlds brought together a group of experts to discuss the Latino vote, both its potential to shape the election’s outcome and the challenge of getting Latinos to cast their ballots on Election Day. 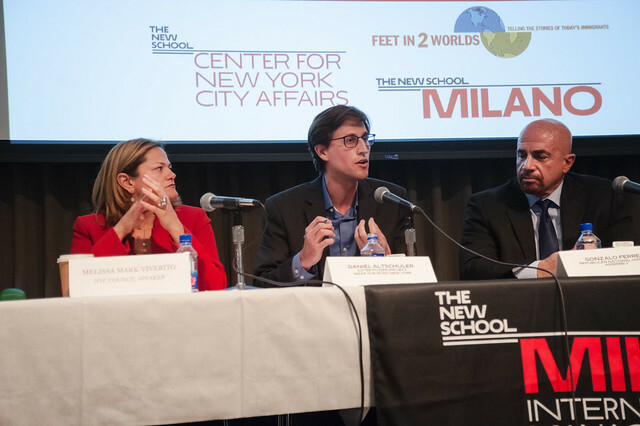 Hosted by veteran broadcaster Ray Suarez of Al Jazeera America, the panelists – who met at The New School in New York City – brought thoughtful analysis to a subject that is generating lots of heat in the media and on the campaign trail. Here are five important takeaways from the discussion. 1. 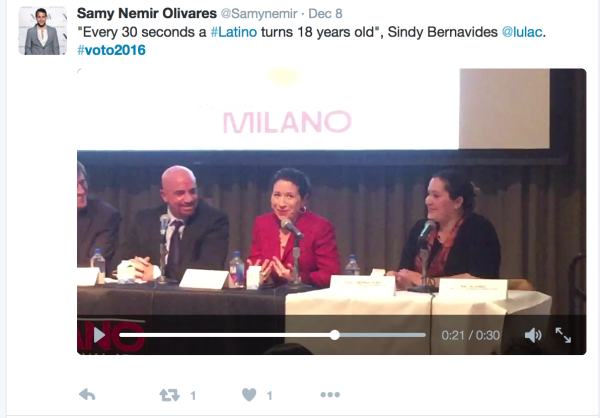 Every 30 seconds a Latino in the U.S turns 18 years old – voting age. That’s about 800,000 people every year. An almost equal number of immigrants from Latin America become naturalized U.S. citizens each year. This means that by November 2016 the ranks of eligible Latino voters will have grown by 4 to 6-million since the last presidential election in 2012. While the number of potential Latino voters is huge, voter registration and turnout among Hispanics lags far behind blacks and whites, according to a Pew Research Center study. Numerous efforts are underway to encourage more Latinos to register and vote including the Voto2016 mobile app which will be launched in the spring by Feet in 2 Worlds. 2. Latinos have a history of low voter turnout. Latino voters were an important – some would say decisive – factor in electing Barack Obama to the White House both in 2008 and 2012, and they are expected to be pivotal in the 2016 election as well. Despite their influence at the ballot box, Latinos significantly lag behind other Americans when it comes to voter turnout. Why? “Latinos are clustered in completely non-competitive states,” says Sylvia Manzano, a researcher at the polling firm Latino Decisions, and one of the panelists at our Latino voter event. “Over half of all Hispanic voters live in three states,” she adds. California and Texas are home to almost half the eligible, registered and active Hispanic voters in the country. “Those two states are like evil twins,” notes Manzano, with blue California and red Texas both states that are not likely to change party allegiance in 2016. Only Florida, the state with the third largest number of Latino voters, is competitive. According to Manzano, living in a non-competitive states saps much of the incentive for Latinos to vote. But others take a somewhat different view. 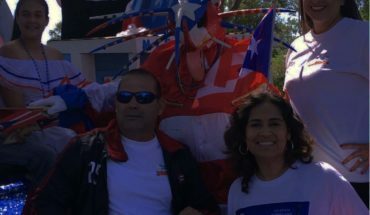 For example Mi Familia Vota, an organization that promotes Latino voter engagement, is active in other states where Latinos have a history or the potential to be swing voters. The group has operations in Arizona, Colorado and Nevada, as well as the big three, CA, TX and FL. Other barriers to greater participation are age and the cost of registering new voters. Sindy Benavides, Community Mobilization Director at LULAC (the League of United Latin American Citizens), notes that the Latino population is young, and young people tend to vote in lower numbers than older citizens. Benavides also highlighted the high cost of voter registration. She estimates that the average cost of registering a new voter is $20. That works out to a $180-million price tag to register the estimated 9-million Latinos across the country who are currently eligible to vote but unregistered. Benavides acknowledges that there are also institutional barriers to registering voters in some states with lengthy processing times and bureaucratic hoops to jump through. NYC Council Speaker Melissa Mark-Viverito advocates lifting barriers, including the adoption of same-day registration in states that don’t offer it. 3. Raising the minimum wage is a key issue for Latinos. More than 80% of Latinos support raising the federal minimum wage. 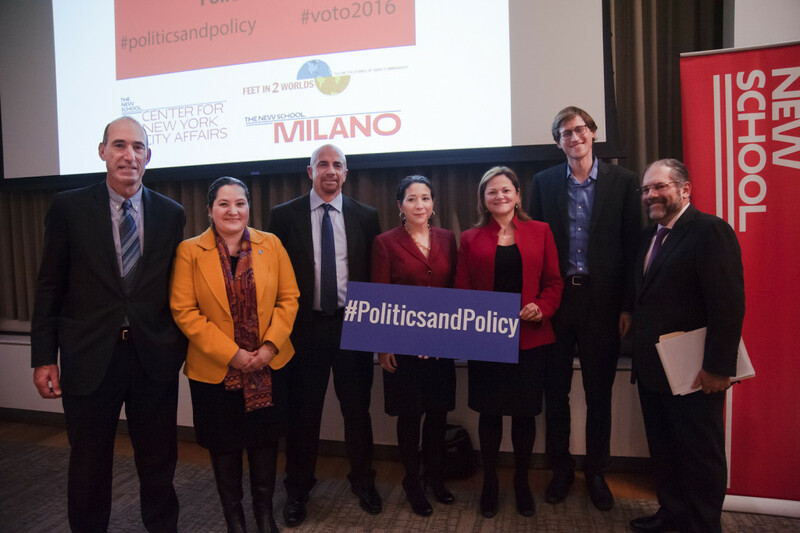 Both Daniel Altschuler, Managing Director of the Make the Road Action Fund and Council Speaker Mark-Viverito highlighted the need for policies that support greater economic justice for Latino communities. However, Mark-Viverito expressed frustration with efforts by the conservative Koch brothers, who she said, “are out there mobilizing Latinos that are low-wage and low-income communities to then vote for Republicans who will continue to perpetuate the policies that keep us down.” Mark-Viverito called the current political environment a “wake-up call” to Latinos to get involved in the political process. “If we cannot use this moment as our moment, I don’t know when we will be able to,” she said. According to Latino Decisions researcher Sylvia Manzano, many Latinos believe that neither of the major political parties is on their side. They feel that they have been, “played like a political toy among Democrats, and with Republicans they feel that the party is openly hostile to them,” she said. 5. Smart phone technology could be a key to getting more Latinos to vote, but no one has figured out exactly how to do it. Latinos are the nation’s fastest adopters of smart phones, according to a report by Nielsen, which refers to Hispanic consumers as “digital trailblazers.” But efforts to motivate Latinos to register and vote using mobile apps, web sites and other types of technology are still in the experimental stage. 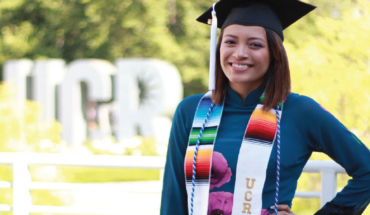 “The honest truth is that we’re still testing it,” says LULAC’s Sindy Benavides. “We’re trying to figure out the best way to reach (potential Latino voters),” she adds. “Is it through text messaging? Is it through creating an app like Voto2016? Is it making sure we’re on college campuses … to do a virtual phone bank?” LULAC and other organizations are already using a wide range of online tools to engage Latinos in the political process, and more web sites and apps are expected to be rolled out in the coming months. The panel was moderated by the host of Al Jazeera’s Inside Story, Ray Suarez and included, New York City Council Speaker, Melissa Mark Viverito, Gonzalo Ferrer, Chairman of Republican National Hispanic Assembly, Dr. Sylvia Manzano, Principal at Latino Decisions,Daniel Altschuler, Managing Director of Make the Road Action Fund, Sindy Benavides, Community Mobilization Director at League of United Latin American Citizens (LULAC), and Samuel Molina, CA State Deputy Director at Mi Familia Vota. Rachael Bongiorno contributed reporting to this article.